Optima Group, a global leader in Explosive Threat Mitigation, has acquired Fellows International and has thereby grown its capabilities to include Unexploded Ordnance (UXO) Risk Mitigation and further strengthened its commercial and operational offering. Renowned for developing and delivering operational capabilities that have cleared millions of square metres of explosive threats from conflict stricken regions across the world, Optima sees significant growth potential in Fellows’ specialism in maritime Explosive Ordnance Disposal (EOD). This is highlighted by Fellows’ recent purchase of a world leading underwater UXO disposal system for seabed clearance. 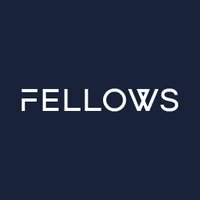 With this acquisition, Fellows now has complete access to the full resources within Optima to grow its market share of UXO Risk Mitigation and maritime EOD. Since the acquisition, Optima has invested heavily in Fellows by procuring new offices, new equipment, new vehicles and recruiting staff to deliver the best level of service to its clients.